With Carnival in February, Holi and St. Patrick’s Day in March, and Songkran in April, this time of year is all about celebration. Join us below as we travel on a virtual journey to festivals across the globe, then venture even further into the world of celebration with our curated collection of international imagery. A celebration of New Year’s Day on the Buddhist and Hindu lunisolar calendars, Songkran is held annually in Thailand during the month of April. The pouring of water traditionally symbolizes the washing away of bad at the turn of the new year, but it has escalated to what is frequently called the world’s largest water fight. Prepare to get very, very wet if you venture out to celebrate the Thai New Year. Held for 16 days from the end of September through the first weekend in October, Germany’s Oktoberfest brings more than 6 million people to Munich each year. The festival has been held since 1810, and is now celebrated with similar events in cities all around the world. Thousands of people travel to Buñol, Spain on the last weekend of August each year for La Tomatina, the planet’s biggest food fight. More than 220,000 lbs (100 metric tons) of tomatoes are thrown in the streets, honoring a tradition that has existed in the small Valencia town since 1945. When the event ends after one hour of fighting, visitors often wash off in the nearby Buñol River. The Albuquerque International Balloon Fiesta, celebrated in New Mexico in early October, is the largest hot-air balloon festival in the world, with more than 500 balloons and up to 100,000 spectators each year. The Fiesta grew so large since its launch in 1972 that organizers began to limit the number of balloons, favoring quality over quantity. 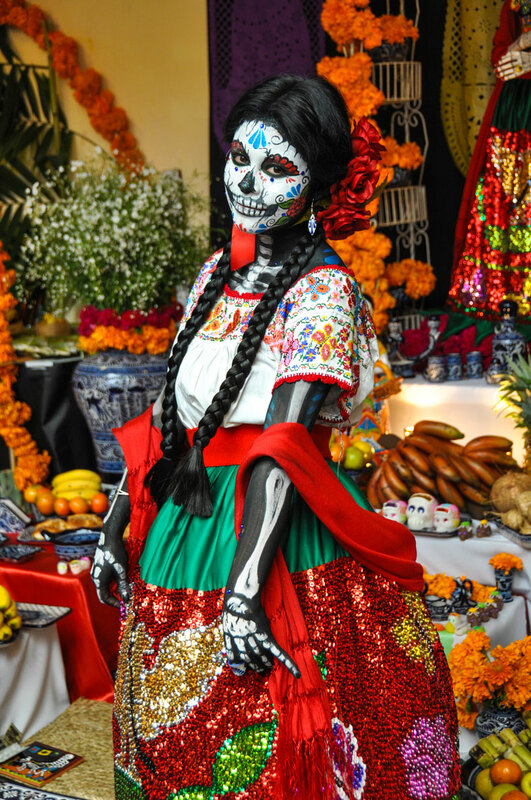 Día de los Muertos, or the Day of the Dead, is celebrated throughout Mexico and in Latin American cultures. Traditions vary by country and region, but it’s typically part of a three-day celebration that includes a day to honor deceased children, a day to honor deceased adults, and a day to decorate the tombs of a family’s ancestors. Cempasúchitl (marigolds), sugar skulls, skeletons, and gifts for the dead are all prevalent during the festivities. Holi, the festival of colors, is held annually all over the world. This spring festival, where participants dance, sing, and color each other with powder and colored water, is generally observed in India and regions with large Hindu populations. It is celebrated on the full moon (Phalgun Purnima) at the approach of the vernal equinox, typically in March. Ice sculptures are created throughout the city of Harbin, China during the International Ice and Snow Sculpture Festival, which begins on January 5 and lasts for at least one month. Most of the ice is taken from the frozen surface of the Songhua River, and sculptures are created to fit a certain theme each year. The most famous Encierro (Running of the Bulls) takes place in Pamplona, Spain during the eight-day San Fermin festival in July. 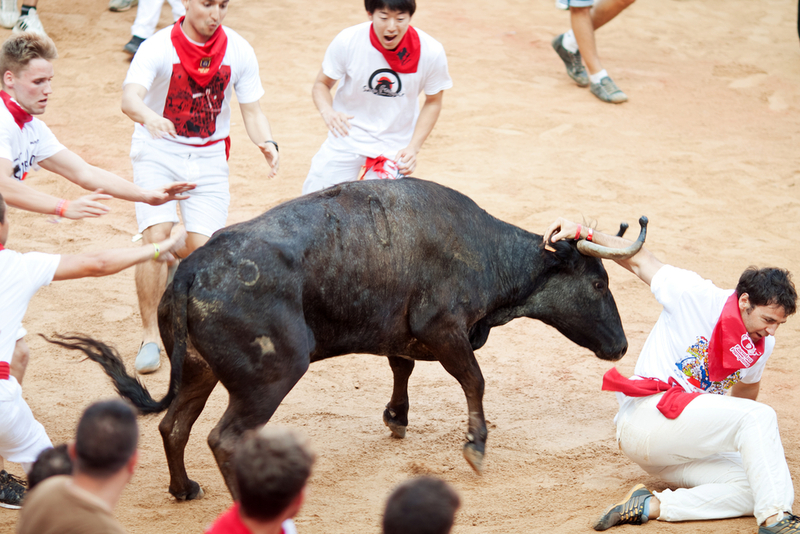 The event has taken place since the 1800s and has been televised for decades, with bulls and runners traveling 902 yards (825 meters) for about four minutes at 8am. Celebrated all around the world, Carnival (known as Mardi Gras in the US and most famously held in New Orleans) typically takes place in February before the season of Lent. Two of the most famous instances of this festival are the Carnival of Venice and Rio de Janeiro’s Carnival, which hosts as many as 2 million revelers. Northern Thailand’s Yi Peng, which coincides with the Southwestern Thai festival of Loi Krathong, takes place during the full moon of the second month of the Lanna lunar calendar (in November). People celebrate the holiday and pay tribute to Buddha by making a wish and releasing sky lanterns into the air, creating a mesmerizing nighttime scene. The exact date of the festival is announced only a few weeks in advance, and a separate lantern release is held a week later for international visitors.